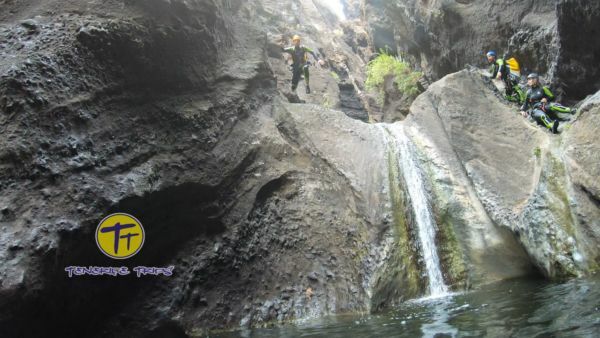 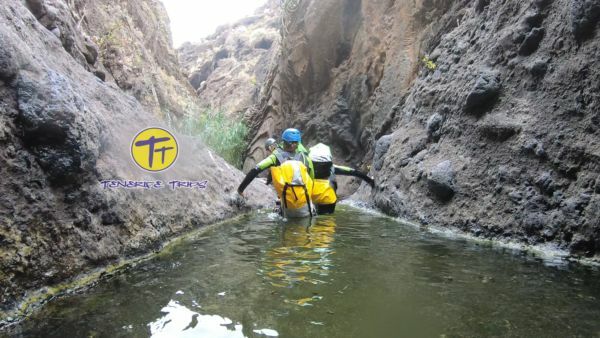 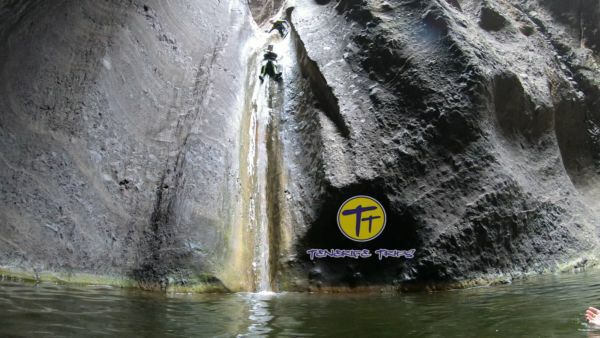 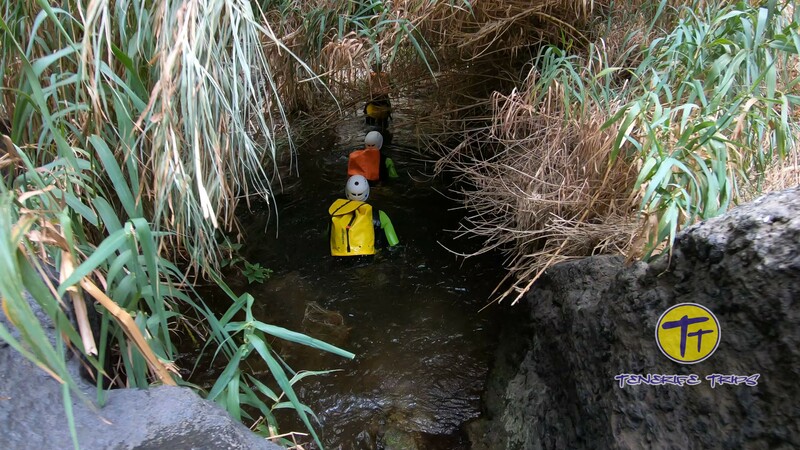 Canyoning Tenerife, discover the most authentic part of the island. 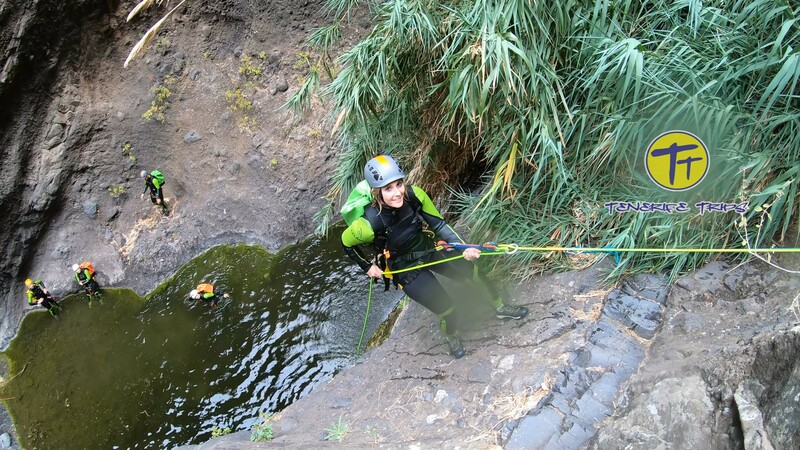 The canyoning trip is one of the most thrilling experiences you can do in Tenerife! 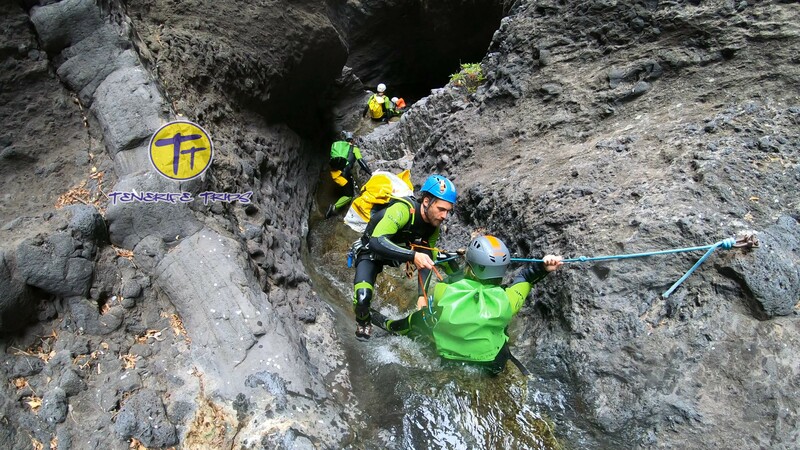 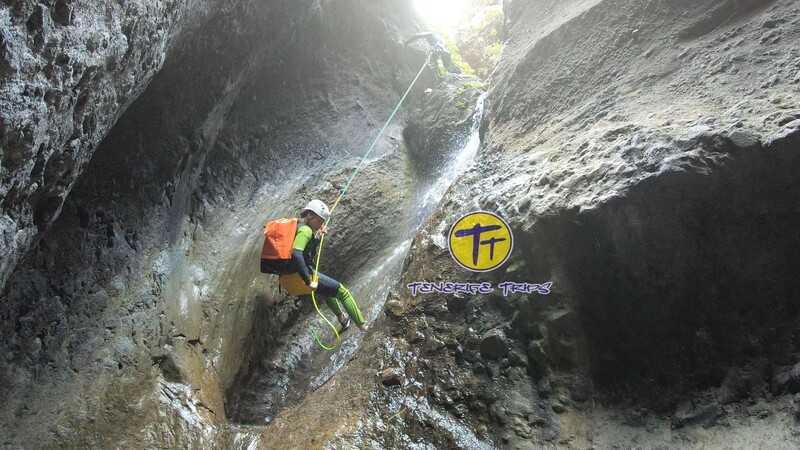 If you are looking for a real adventure in one of the most authentic parts of the island the canyoning Tenerife excursion is definitely for you. 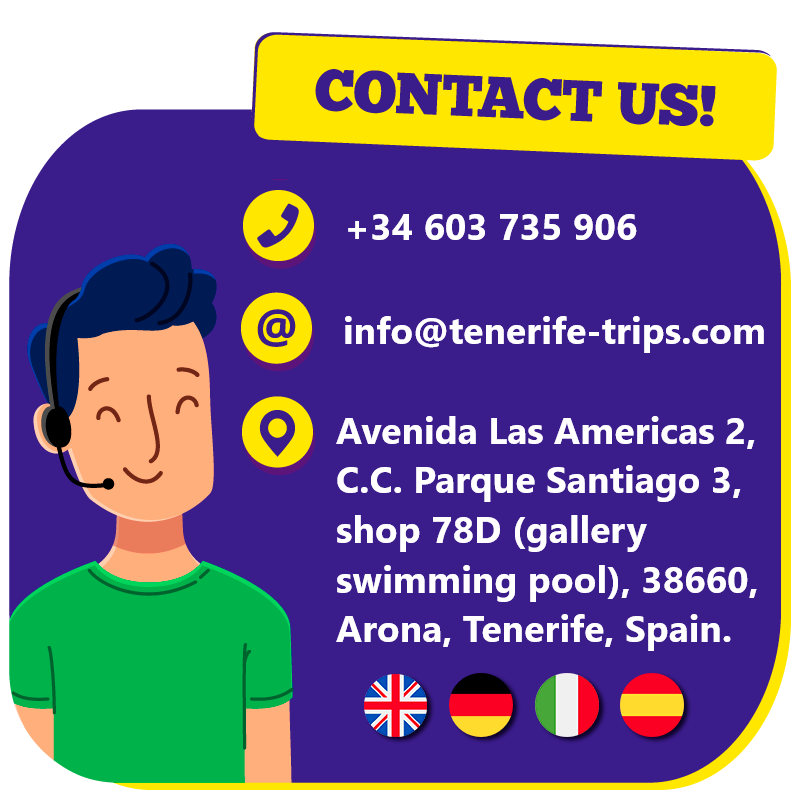 First of all we meet in Los Cristianos around 9:30 AM and with our vehicle we head for Teno Mountains; this area is located in the north-west, about 50 minutes by car from the south. 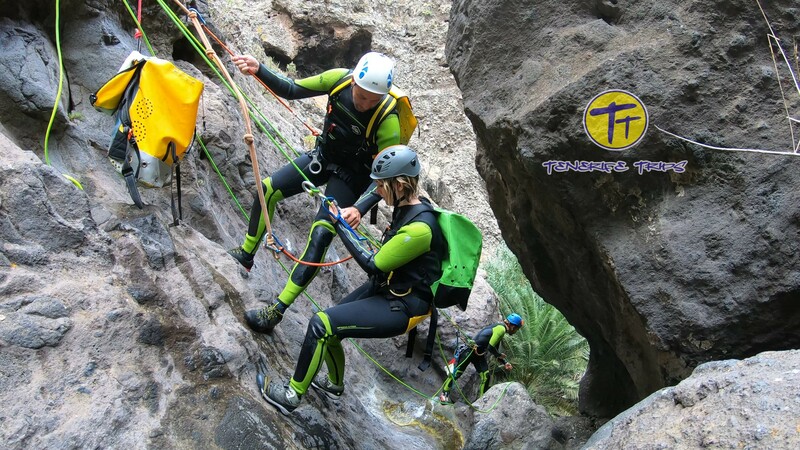 When we reach our destination we get off the van and start getting ready for the canyoning Tenerife trip; all the equipment will be provided by our company, boots, canyoning wetsuits, backpacks, helmets, ropes, harnesses, etc; you only have to bring some food that will be put inside a special waterproof container also provided by us. 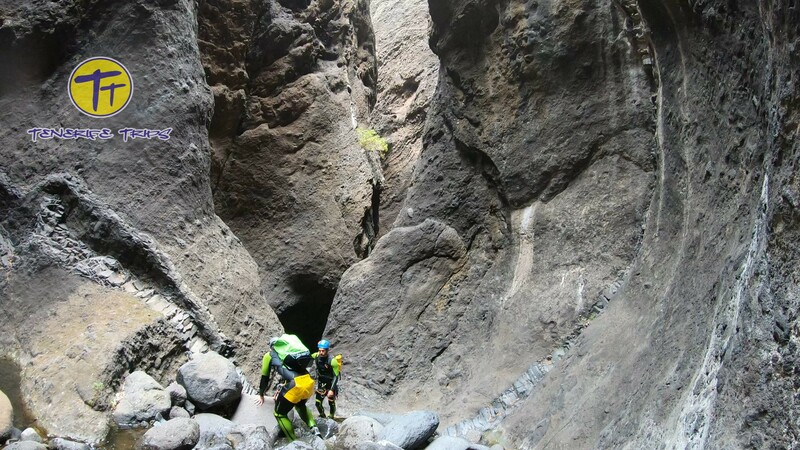 We are now ready for action and we start walking down this amazing hidden and secret canyon; there is a freshwater stream all year round coming directly from the mountains and all around an amazing natural scenery. 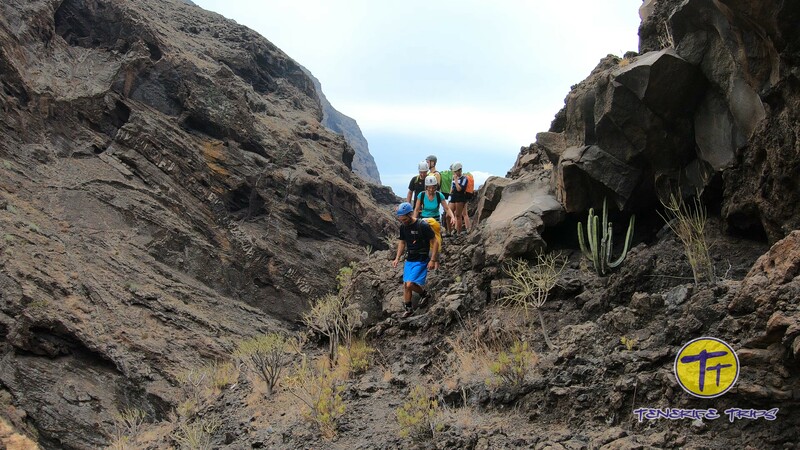 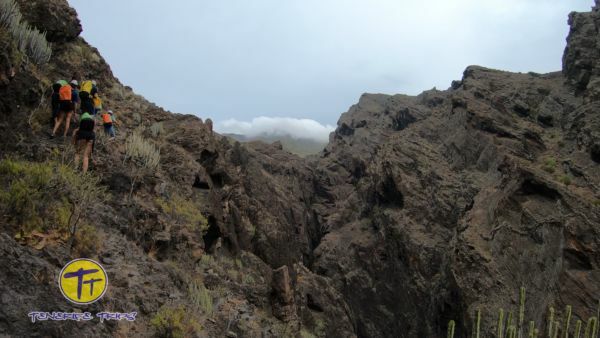 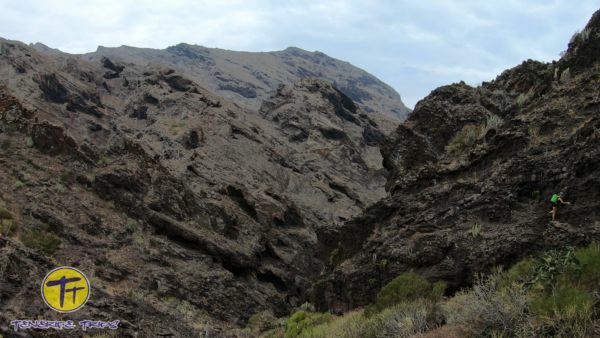 The landscape you are admiring during the canyoning Tenerife is rich in natural caves tipical of the lava stone and in exotic plants; probably we will also meet some wild goats that inhabit the area along with endemic birds. 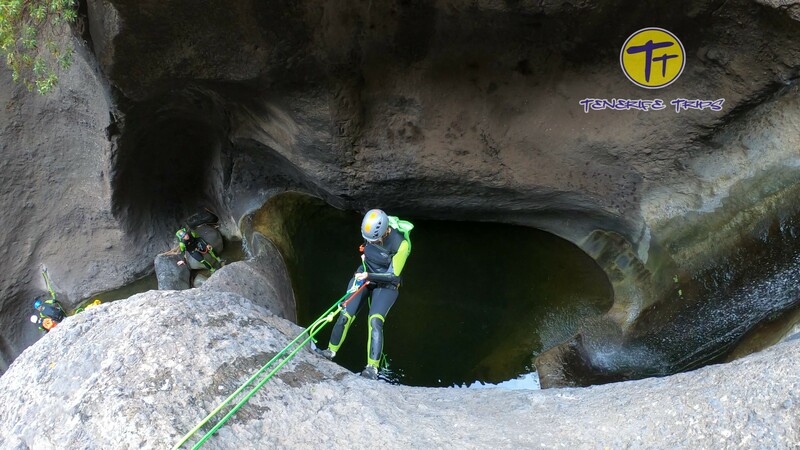 The activity we are going to do is a mix of hiking, abseiling and jumping into freshwater pools; it requires good physical conditions and awareness of potential dangers; our instructors will be with you to help during the whole excursion. In the canyoning Tenerife we will experience a true contact with nature, exploring an untouched territory; the descend of the gorge will last about 3,5 hours and it will end at the beginning of a natural reserve; once we reach this point we get rid of the wetsuits, dry up and eat our food. 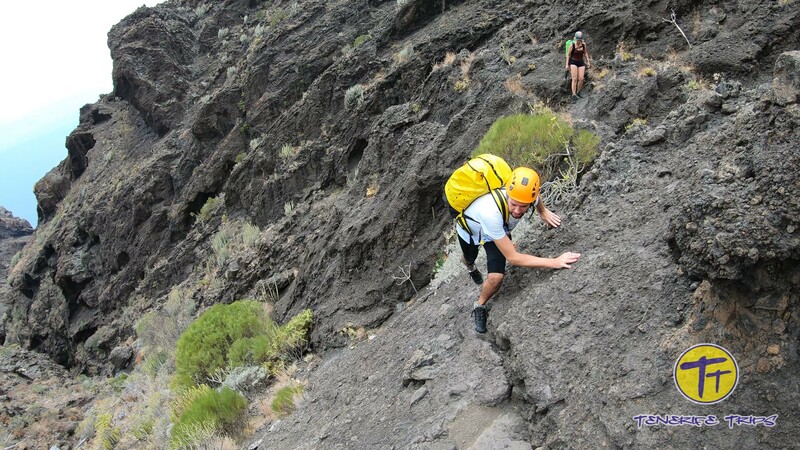 After the break of approximately 45 minutes we start ascending the mountain to go back; we walk on a goat’s path which is quite steep and uncomfortable, so the adventure with the is not finished; in about 1,5 hours we are back at the starting point, tired but happy to have had such an exciting experience. 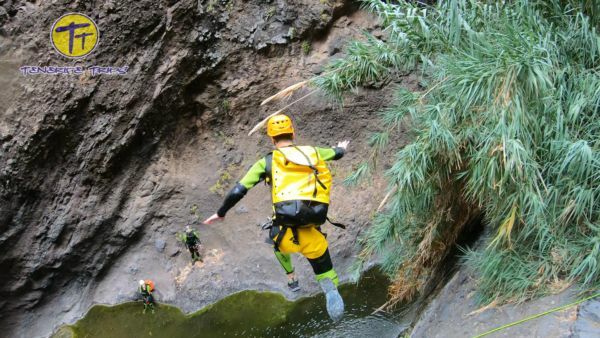 The canyoning Tenerife takes place on Monday, Wednesday and Friday; all you need to bring is food, drinks and some dry clothes (shorts and t-shirt) to wear when we take off the wetsuit. 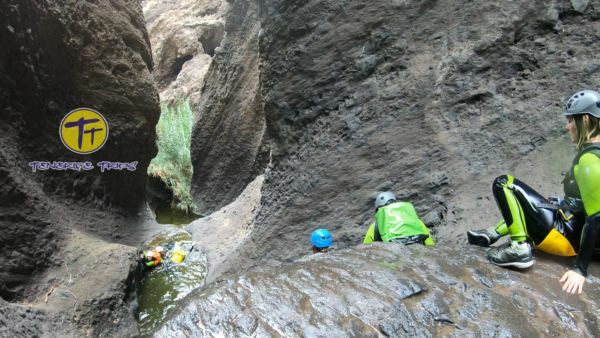 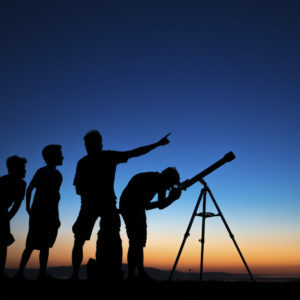 This is an excursion for responsible adventurers; children must be at least 14 years old and be accompanied by a parent.